If you need to dispute a late payment, collection, charge-off, or other negative item on your credit report, you can’t afford to make a mistake. If you do, you could inadvertently “cement” that negative into your report for a very long time. The work Mr. Fasano, the owner and founder of Correct Credit Company, Inc. does is nothing short of phenomenal. But he cannot work his magic if the consumer has already muddied the waters by disputing online or sending in a statement that shoots himself or herself in the foot. THESE WILL NOT WORK! They will only serve to muddy the waters and make the negative item stick like glue. If your investigation determines the dispute was incomplete, frivolous, or that the dispute has been investigated before, you must notify the consumer not later than five business days after making that determination. WARNING: Do not dash off a quick online dispute or letter without knowing how to properly execute a legal dispute that will work! 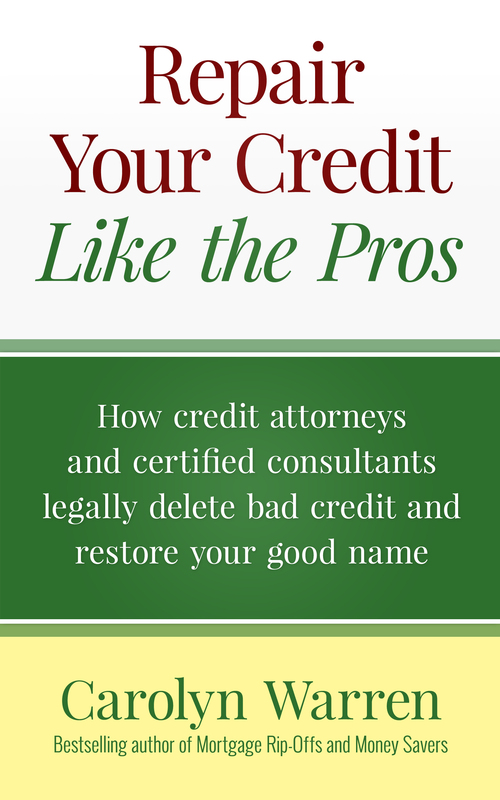 If you want to save yourself the price of hiring a professional, then you have the right to conduct the credit repair work yourself. Just make certain you do it properly or correctly. All the instructions are clearly laid out in Repair Your Credit Like the Pros. Either way, remember that reporting negative information that is incomplete, out-of-date, false, or unverified is illegal. The credit bureaus must adhere to the Fair and Accurate Credit Reporting Act by removing all such negative items. Carolyn is such a BRILLIANT woman! I had a question after reading her amazing book and she was quick to answer it! I’ve learned so much I didn’t know! She has saved me! Thank you for your kind and generous compliment, Lindsey.